Ever fancied your company advertisement on the side of an aircraft? Well, now’s your chance! 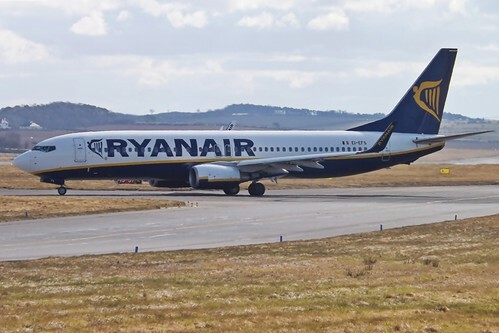 Ryanair is offering companies the chance to do just that in a bid to gain more income. It claims that interest has already come from companies across Europe and beyond. “Whilst we cannot reveal pending commercial agreements, we expect to announce our first confirmed partner company in the coming weeks,” said a spokesman. Four locations are available for advertisers on any of the airline’s 303 Boeing 737-800 aircraft. These are the inner and outer winglets, front fuselage and rear fuselage, for a 12-month period. And that’s not all, Ryanair claims the space is available “for a fraction of the price of a newspaper advert”. Tempted?